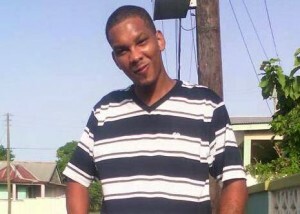 Basseterre, St. Kitts, January 27, 2016 (RSCNPF): The Police Violent Crimes Unit (VCU) is currently investigating a shooting incident in Mansion Village which resulted in the death of Lanzelle O’loughlin, a 25 year old male from Molineux. The shooting occurred around 7.00am today (January 27). Initial investigations have revealed that he was shot by an unknown assailant(s) in the vicinity of the Moravian Church on the island main road. He was transported to the Mary Charles Hospital where he was pronounced dead. The scene was processed and the investigation is ongoing. We appeal to anyone who may have information relative to the incident this morning to please contact the Police. You can do so by calling any Police Station or Crime Stoppers at 1-800-8477 (TIPS).